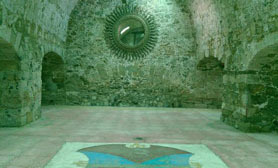 The Hidalgo Haciendas Corridor or, Corridor de la Haciendas in Spanish which incorporates the majority of the state’s +170 former haciendas which were constructed between the 16th and the 19th centuries. The majority being built during the mining boom or the making of pulque which is fermented a Mexican drink from juice of various agave plants especially the maguey. Many of the Haciendas on this corridor incorporate the original buildings, including the main residences as well as organized tours with specialized guides. 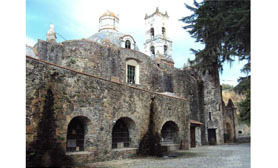 The majority of the haciendas along the Hidalgo Haciendas Corridor are located in rural municipalities, which conserve old traditions even today which give visitors a tremendous insight into the local culture and rituals. 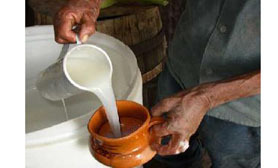 In the Apan area, most of the old haciendas were devoted to the manufacture of pulque, which is still produced and can be tasted by visitors. 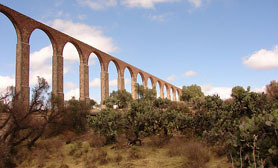 The Hidalgo Haciendas Corridor also contains most of the state’s former colonial monasteries as well as community structures such as the Padre Tembleque Aqueduct.